IshtyleAwhile - A Chennai based Indian Fashion Blog - Launch of Olaplex at Bounce Salon. I believe that your hair can really make or break a look. It is like smiling, an accessory that we always have with us. We always look at women with long thick hair and envy their tresses, but what are we doing to maintain our own? Our hair goes through so much. It is exposed to the sun, wind, dust, smoke, and rain, We curl it, tease it, straighten it, colour it, perm it, crimp it, hate everything and start over. We know that we have to take care of our skin by using sunscreen and moisturisers and overnight serums. What about our hair? This is where Olaplex comes in. 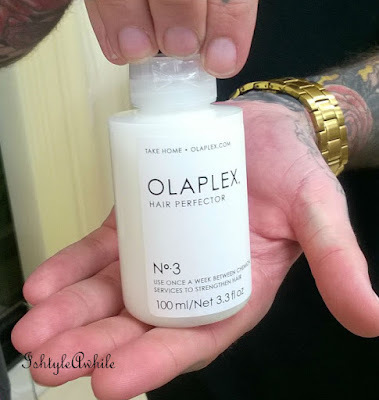 I got to have a little chat with Jordan Alexander, Global VP education at Olaplex. Jordan: So what do you know about the chemistry behind hair. Me: I have a major in biochem so I know that hair is made up keratin which is essentially made up of amino acids. J: Great! 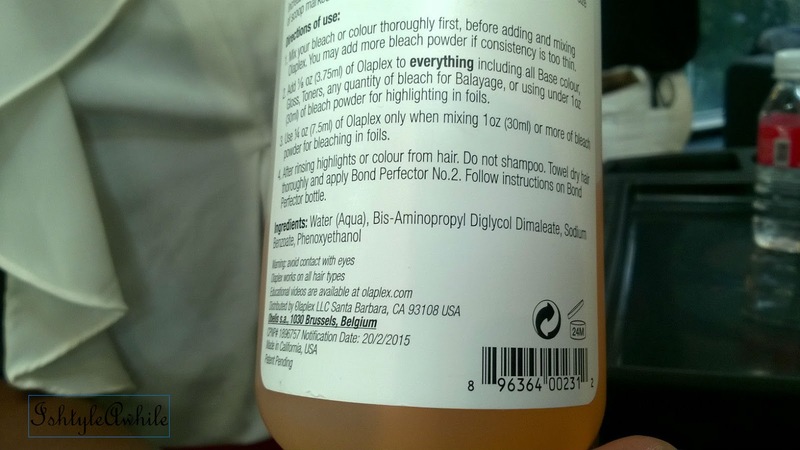 So you know that disulphide bonds are found in abundance in your hair. Me: Yes. and when you style it with heat, it is essentially the breaking and reformation of disulphide bonds that happens. Me: .. on exposure with the free radical oxygen. 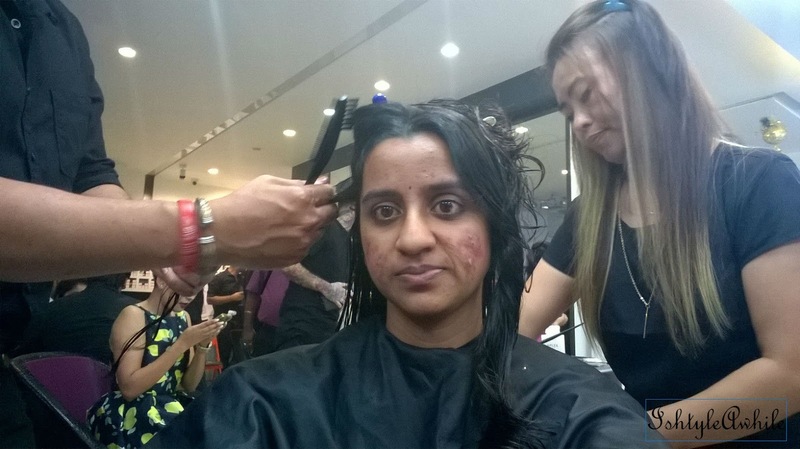 Which will lead to further splitting of the hair strands and damage. 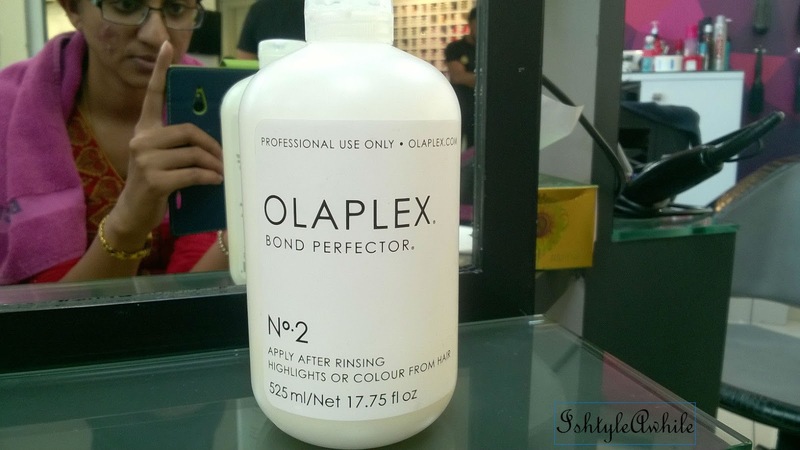 So what does Olaplex do? J: It combines with the thiol groups to ensure that they don't react with the free radicals. K: OMG that is so smart! So let me simplify it. When the disulphide bonds are broken, it is similar to the idea of the ends of a rope being frayed. Now if these frayed ends are not sealed properly then they will continue to fray by interacting with other unwanted chemical compounds. So you need something that will seal the ends. I am not talking about making the ends stick back together, but something like the aglet (at the end of the shoelace). The bis - aminopropyl digycol diamaleate does exactly this. 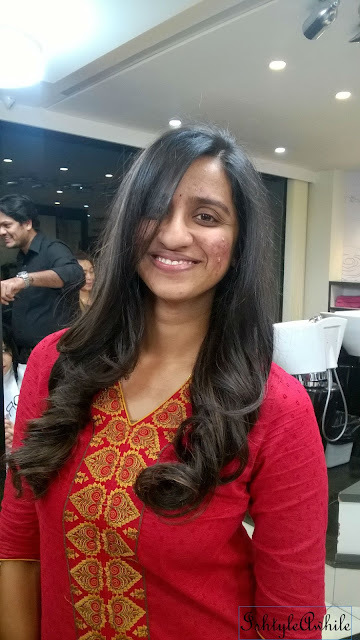 It ensures that the ends of the broken hair can no longer interact with unwanted elements thereby protecting it. Smart right? Now to ensure that your hair is absorbing this bis - aminopropyl digycol diamaleate, they introduce it in three steps. 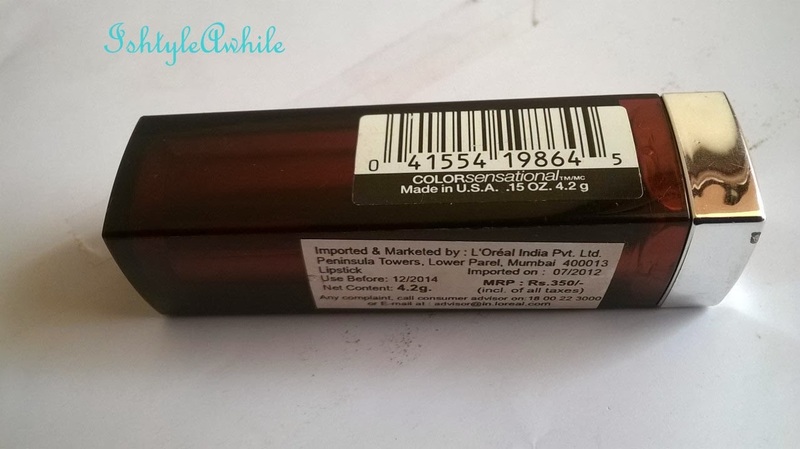 Step 1: in a very high concentration with your hair colour or if you have severely damaged hair, then they apply this and leave it on for about 10 minutes. Step 2: In a slightly lower concentration, this is applied to your hair and left on for about 30 minutes. These two steps are done in the salon only. Step 3: This is introduced into your home care step, so that your hair is constantly absorbing the bis - aminopropyl digycol diamaleat (That really is a mouthful) to maintain it healthy for a longer period of time. 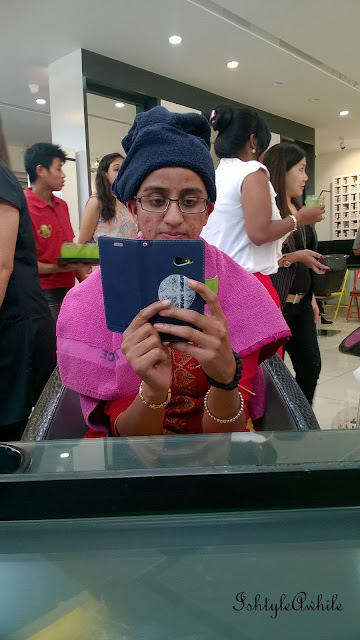 So here is my hair after being treated with Olaplex which contains bis - aminopropyl digycol diamaleate. 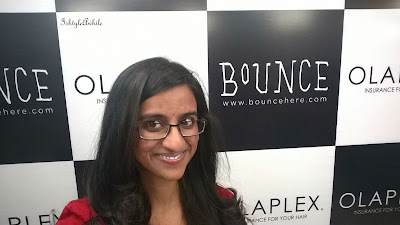 I got the treatment done at Bounce Studio. 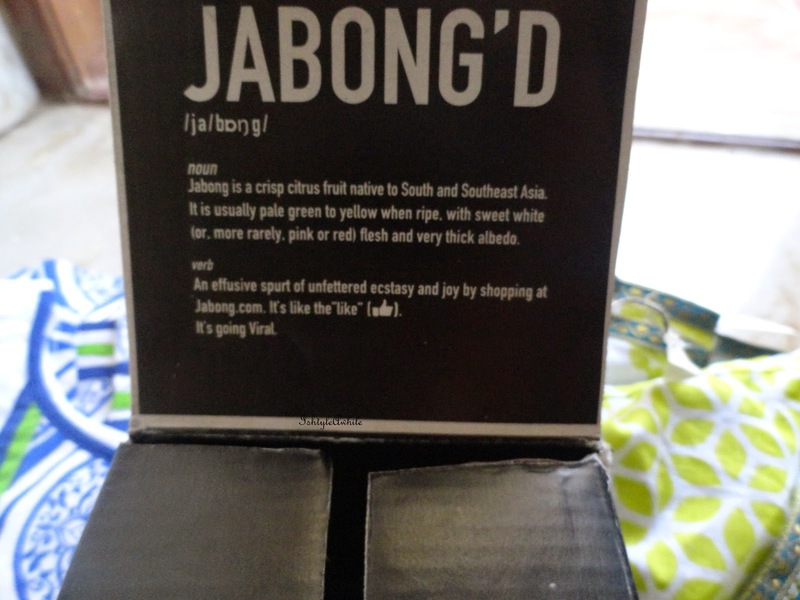 Such pampering for my tresses. 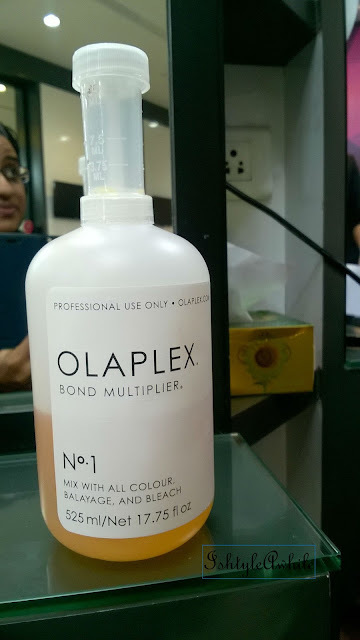 The cost of one sitting of an Olaplex treatment is anywhere from 2000INR onwards. 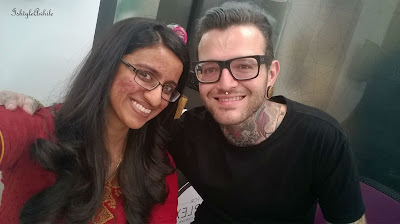 I think it is worth its money because the pictures you see below are pictures that were taken more than 3 weeks after the treatment and my hair still looks fantastic. 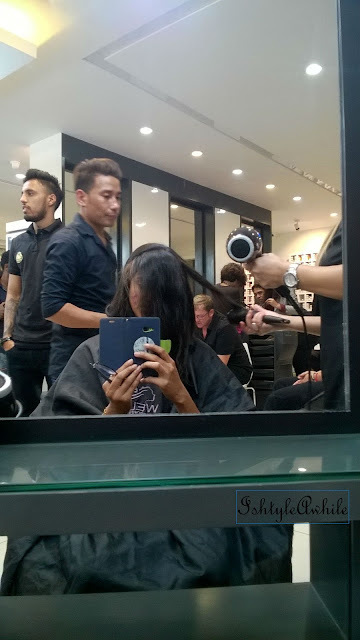 Most hair spa treatments do not last that long. I am definitely going back to this done again. Love love love it! What do you guys think about my hair? yay or nay? 2016 Haul + a whole bunch of gifts!